This article was published on Thursday, 1 November, 2018. The information contained within may be out of date or inaccurate. News articles and media releases older than 60 days are archived for future reference. WIN VIP TICKETS to the Shepparton Lady Boss event for you and your bestie! 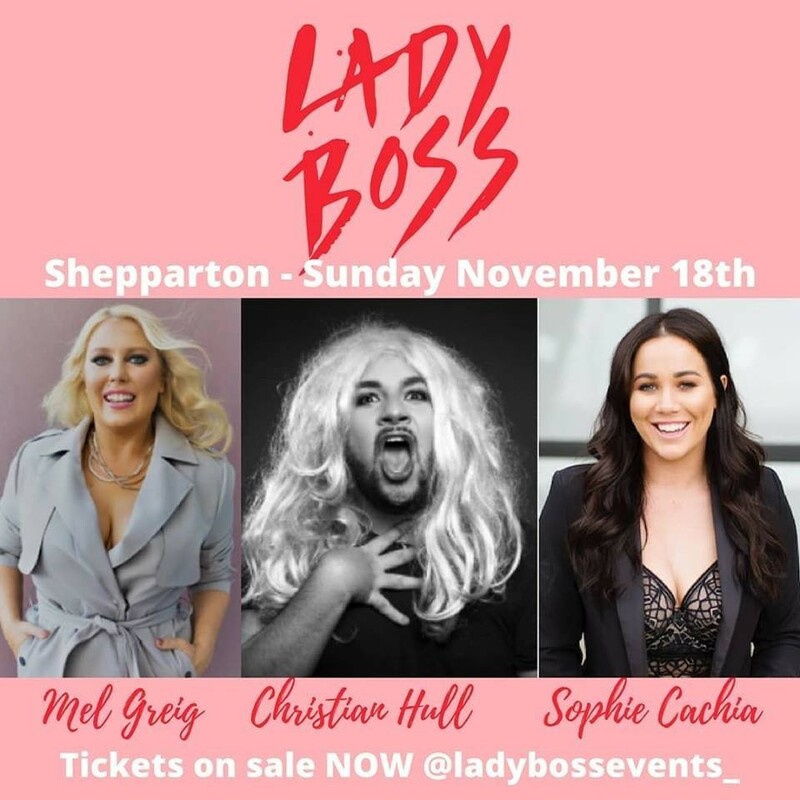 Shepparton Show Me has partnered with Lady Boss Events and we're excited to be giving away two VIP tickets to attend the Lady Boss Event on Sunday November 18th in Shepparton from 1pm - 4pm. Lady Boss presents a star panel including influencer Sophie Cachia, online comedian Christian Hull and TV and Radio star Mel Grieg. The ultimate day out of shopping, pampering & cocktails, as we navigate the murky waters of online dating, divorce drama, messiness of motherhood & other life disasters. And as always we are throwing it to you. This is your chance to hurl all those burning questions at our panel. 1. Head to our Instagram page and tag the friend you would like to take to the Lady Boss Event and tell us why. For more information download the terms and conditions below.